One man's greatest victory. Rome's greatest defeat. A.D. 9: In the depths of the Teutoburg Wald, in a landscape riven by ravines, darkened by ancient oak and bisected by fast-flowing streams, Arminius of the Cherusci led a confederation of six Germanic tribes in the annihilation of three Roman legions. Deep in the forest almost twenty thousand men were massacred without mercy; fewer than two hundred of them ever made it back across the Rhine. To Rome's shame, three sacred Eagles were lost that day. But Arminius wasn't brought up in Germania Magna - he had been raised as a Roman. This is the story of how Arminius came to turn his back on the people who raised him and went on to commit a betrayal so great and so deep, it echoed through the ages. 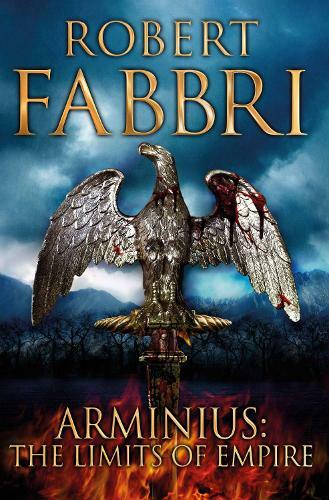 Robert Fabbri is the bestselling author of the Vespasian Series, Arminius is his first stand-alone novel.